Are you one of those people who regard Cuba as the forbidden mystery land right next door, all the more attractive because it is forbidden? 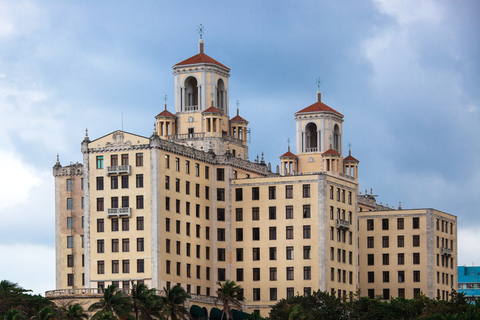 Have you yearned for the romantic days when Papa Hemingway wrote The Old Man and the Sea at Finca Vigia and visited the nightclubs of Havana? Have you wondered whether Cuban cigars really are that much better? President Obama recently announced that he will be relaxing restrictions for US citizens who want to travel to Cuba. The rules had been eased in recent years and some tourist travel is already happening – and I can book it for you! But the new changes will make it even easier – eventually. It used to be completely illegal to travel from the US to Cuba directly. One could travel from the US to Cuba only by going through Canada, Mexico, or another friendly (to Cuba) country on separate air tickets. You could be subject to “civil penalties and criminal prosecution” upon return from such a trip. All of this was part of the US embargo of Cuba and everything it stood for. Some people have been going for years with specific authorization because they were engaged in religious, journalism, humanitarian, medical or other carefully circumscribed activities. Even before Obama’s announcement a few operators had moved into the field to arrange carefully orchestrated “people to people” tours of Cuba for travelers who need not have any particular expertise. Each group’s activities are carefully planned and organized, but they have been able to fly to Cuba directly from the US on chartered flights. The relaxation of travel restrictions will be most helpful for people wishing to visit family in Cuba. Even though there is a considerable build-up of curiosity about Cuba, tourists from the US will not find the sorts of infrastructure and amenities there which are available on other Caribbean islands. Europeans, Latin Americans, and Canadians have been traveling to Cuba without restriction for years but that traffic has not been enough to encourage and sustain a tourism economy on the island nation. Observers agree that it will be several years before the island is ready for mainstream, independent US tourists visiting Cuba. 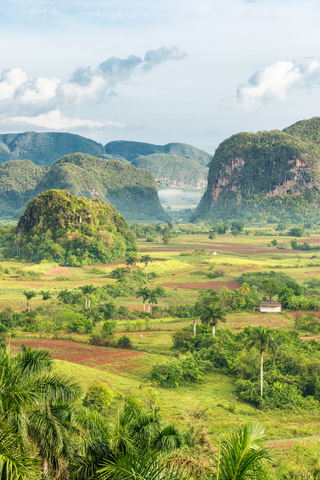 In the meantime, since the cultural aspects of Cuba remain the greatest curiosity for Yankees, the “people to people” cultural package plans are an appropriate way to see the island. People looking for luxury or even comfort on a beach will be happier on other islands with well-established resorts. Airlines, cruise lines and resort companies will surely be lining up with bids and proposals so that they can take advantage of the first waves of tourists under the new regulations. The normalization will roll out gradually, and independent travel to Cuba will be possible eventually. It might even be soon. One company offering tours invites you to “Experience Cuba now, before it changes!” If you want to do that, call me. This entry was posted in Travel, Uncategorized and tagged Cuba, embargo, Hemingway, people to people, regulations, revolution, travel. Bookmark the permalink.